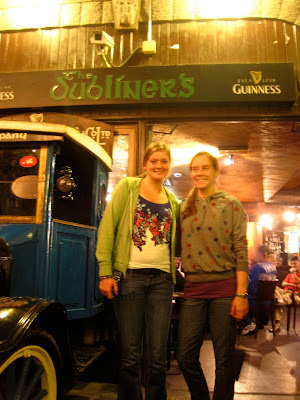 Tonight some of us decided to go check out a new restuarant called Dubliners. Once we were sitting at the table we realized it was all the 3rd year students from the trip!! The food was awesome and we had a great time. However, Fibber Magees is still the reigning champion for best Irish pub/restuarant in Dubai. My meal: Beef and Guiness Pie <-- pure excellence!! Me and Kristin outside of Dubliners after dinner.